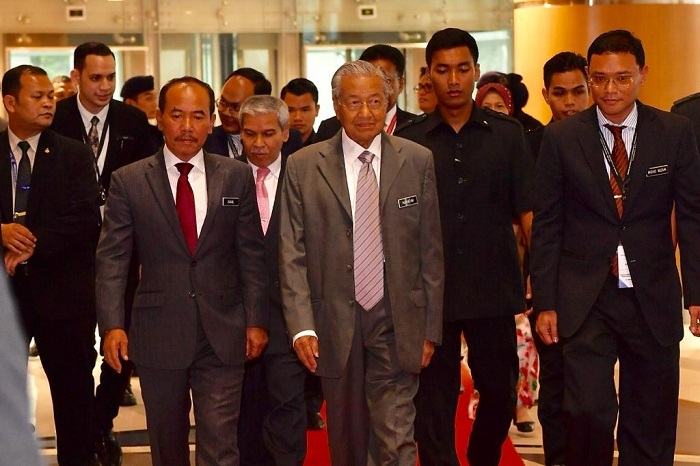 PETALING JAYA, Jan 29 — Prime Minister Tun Dr Mahathir Mohamad today confirmed that no final decision has been made with regards to the construction of the China-backed East Coast Rail Link (ECRL). His announcement comes amidst heightened speculation that the mega project has been scrapped. “No decision has been made. We feel that we should give time for both sides to come up with a solution to the problem. “I am not in a position to give the explanation about what we are going to do, but no decision has been made at this moment,” he told reporters today. He said there may be more negotiations, adding that “certain people” have already been given the task to solve the matter. Last week, Finance Minister Lim Guan Eng and Economic Affairs Minister Datuk Seri Mohamed Azmin Ali issued conflicting statements on the project. Azmin announced last Thursday that the Cabinet had agreed to terminate the ECRL — which has been suspended since last August — prompting Lim to express surprise over the disclosure. Speaking at a press conference after the launch of the National Anti-Corruption Plan (NACP), Dr Mahathir said the compensation for ending the ECRL project was significantly lower than the RM100 billion he estimated it would cost to see it to completion. “Huge compensation is not as huge as the amount of debt we will carry for the next 30 years. “It is not that we do not want to honour our contracts, but we just cannot pay. These contracts will cost us more than RM100 billion,” he said. Dr Mahathir said the debt incurred by the Barisan Nasional (BN) government for mega-infrastructure projects was too great, forcing his administration to try and renegotiate some. “It will impoverish us, so we seek understanding of the parties concerned, that it is not because we just want to frustrate or throw out a contract, but because we are really tied in terms of finance,” he said. “The media reported something else that stresses different points, but what he was explaining was that we need to have good relations with China because China will be a partner with us, a good market for us, a source of Foreign Direct Investment (FDI). “Well, there may be some other options. We are open,” he replied when asked if there is any other option for the government besides cancelling the ECRL. “No, we are still negotiating,” Dr Mahathir said when pressed by reporters on the status of the project. He said the government is also constantly studying the cost to construct the ECRL. “We are always studying the cost. Apparently, there are offers by others which would cost the government much less. I think the previous government has estimated a very high estimate. We need to attend to that,” he added.